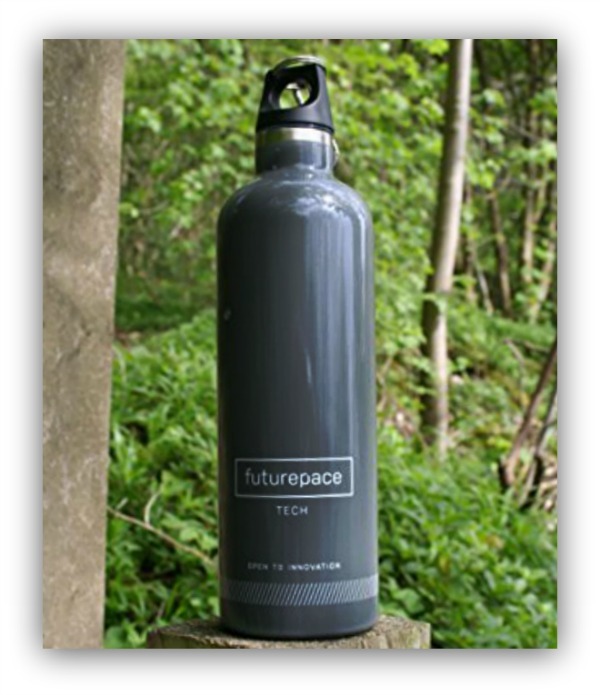 The Futurepace Tech Sports Water Bottle is made of high quality stainless steel and has a generous 20oz capacity. Bonus it that the Futurepace Tech Sports Water Bottle has a sleek design and comes in three different colors – White, Grey and Charcoal. I bought the Futurepace Tech Sports Water Bottle in Charcoal, as it happens to be one of my favorite colors. The bottle can withstand both hot and cold beverages, keeping cold beverages cold for 24 hours and hot beverages hot for approximately 8 hours. As we go into the colder months, the fact the Futurepace Tech Sports Water Bottle can keep hot beverages hot for up to 8 hours is just another bonus of the amazing water bottle. Think about all that time you’ll be spending on the slopes and having a nice hot beverage to sip on throughout the day. This bottle is definitely designed for the person on the go; the cap has a sturdy carbineer clip that can easily hook onto a backpack, gym bag or belt. The cap holds a tight close, so you don’t have to worry about spills. Bottom line, there are zero minus with the Futurepace Tech Sports Water Bottle and as we all try to do our part for the environment by moving away from deposable bottles, this is the one bottle you’ll want. The Futurepace Tech Sports Water Bottle lists for $24.99, but is currently on sale for $19.99 on Amazon and Futurepace offers a 100% Money Back Guarantee! I personally recommend picking up a few for the upcoming holidays.